This sweater is true to size, extremely well made and warm. On top of that is great looking and the pricing was fantastic. This used to be a great item, however now the badge tab comes in a kit so you have to either sew it on yourself, or pay again for tailoring. 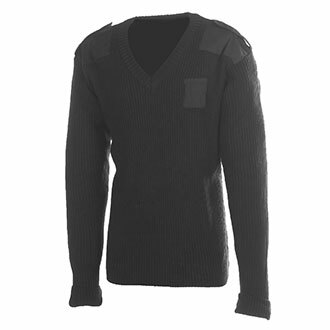 Great price on a really great duty sweater. I would order a size up from what you are because the shirt fits small. Returning it since it's of no use to me now. It is one of my most complimented non-issues items!! Comfy and looks sharp! Great sweater for the fall and even winter. Warm and elbow patches don't hinder comfort. Looks good and feels great. I bought one for use as my Election Day uniform. 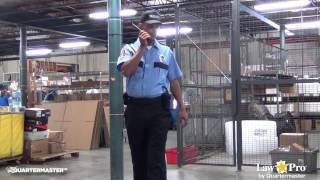 (State Constables provide polling place security in Pennsylvania). Not only is it comfortable, but it makes for a sharp look with my white shirt and tie on Election day. Needless to say, I will be buying a few more for every day use as well. It is nice and warm for chilly fall or spring days. Also it washes very well, I have washed mine many times now and it still looks new. Just be ready every co-worker will ask you where you got it. Great sweater, I have had mine for 3 years. I used it a lot, washed it a lot and 3 years later the color is still great and did not shrink. I purchased mine for a little more then they are asking here, but I would pay the same once more worth the money.